Selfies may appear to be an example of self obsession to many, but it lets you be a part of some happy moments otherwise one of the group had to hold the camera and take snaps being away from the pictures. So people is now obsessed to selfies. But there is a problem with selfie too. When you are taking a group selfie, either the the timer timeouts before you organize yourself or the camera orientation changes or even worse it falls off as soon as you tap it. Also it’s very difficult to set timer and then position your mobile phone correctly and reach within 15 secs. Wouldn’t it be amazing if we could use a remote control? iOS brings you this great opportunity to make selfie experience worth it. All you need is 2 iOS devices paired up and the updated Camera Plus application with AirSnap feature. GlobalDelight, an iOS app developer based in Udupi, is today going live with an upgrade of its Camera Plus app. 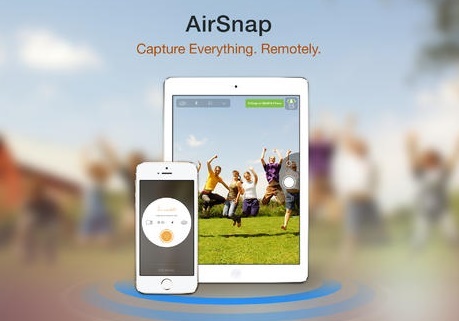 Camera Plus comes with a new feature called AirSnap that helps users capture photos and videos remotely by pairing two iOS 7 devices via Bluetooth and WiFi. The devices compatible are iPhones, iPads or iPod Touches. Both the devices in pair should have iOS 7 and the Camera Plus app. The app converts one of the devices into a remote trigger and the other one as the camera. AirSnap can control flash, camera modes, view previews of images that are taken in the camera from the one that is acting as the remote controller, and select front and rear cameras. Apple seems to be bracing itself for the introduction of wearable era. It looks like an external device that can control and trigger photos and videos remotely. We just hope they open up their API’s so that Camera Plus can leverage it,” said Guruprasad Kamath of GlobalDelight. GlobalDelight may not be a name that is taken with Indian MNCs like Wipro, Infosys but definitely it’s a well known app developer in App Store that aims in simplicity and user friendly apps. Camera Plus with AirSnap will be available for download starting today on the iTunes App Store for $0.99. If you’re an existing Camera Plus user, the upgrade with AirSnap comes free.